1. 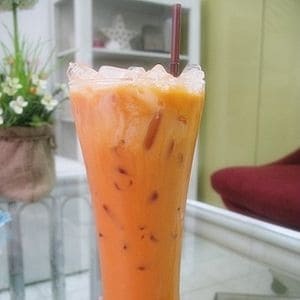 Put Thai tea in a cup, add hot water, stir well, allow tea to set for 5 minutes, then sift. 2. Add sugar and sweet condensed milk, stir well until sugar is dissolved, then add evaporated milk, and stir thoroughly. 3. Pour into a cup with ice, top with evaporated milk, and serve immediately.